Kelly Brown, BS; Heather Brubacker, MS, Dietetic Intern; Laura Brown, MS, RD; Baylee Carroll, BS, Dietetic Intern; Elizabeth Gardner; April Hill; Sarah Mihalko, BS; Katie Obojkovits, BS, Dietetic Intern; Madeline Peck; Tanya Horacek, PhD, RD, Professor; Syracuse University, Syracuse NY. Madeline Peck; Tanya Horacek, PhD, RD, Professor; Syracuse University, Syracuse NY. Title: Extracurriculars and Teachers as a Substitute for Parents: Do they support strong academic outcomes in students without parental involvement? 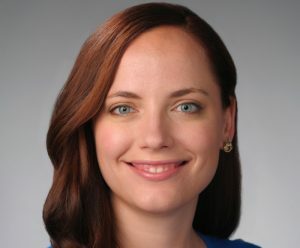 Brittany Kmush, PhD, received a 2018 Thesis Research Publication Award from Johns Hopkins Bloomberg School of Public Health, Department of International Health for her dissertation entitled, “Risk factors for antibody loss after Hepatitis E virus natural infection and vaccination.” Dr. Kmush received both a PhD and a master of science in infectious disease epidemiology from Johns Hopkins University’s Bloomberg School of Public Health. She holds a bachelor of science in biochemistry from the University of Rochester. Dr. Kmush is an assistant professor in Falk College’s Department of Public Health at Syracuse University. Her areas of specialization include epidemiology, global health, infectious diseases, vaccines, nutrition, immunology and environmental exposures particularly within the context of risks for infectious diseases, and Hepatitis E virus. In addition to a series of graduate research assistantships at Johns Hopkins, Dr. Kmush was a student investigator at the Centre for Child and Adolescent Health, Dhaka, Bangladesh and the National Institute for Diagnosis and Vaccine Development in Infectious Diseases, School of Public Health, Xiamen University, Xiamen, China where she Implemented a study examining the persistence of antibodies after hepatitis E virus infection. Her professional portfolio includes participation on numerous research grants, including an award from the Bill and Melinda Gates Foundation where she was a student investigator on the project, “Determinants of Immunological Persistence of Hepatitis E Virus Antibodies.” The purpose of the study was to determine antibody persistence after Hepatitis e virus and vaccination in South Asia. Public Health senior Ryan Patel was the focus of Syracuse University’s “Be Orange” campaign this Spring 2019. Ryan is a double major—a B.S. in public health and a B.A.in biology—and a dedicated student ambassador with his sights set on medical school. As a University 100 Student Ambassador, Forever Orange Student Alumni Council (FOSAC) member, and volunteer for Syracuse’s Veterans Administration Medical Center, Crouse Hospital’s Emergency Department, Syracuse City School District’s Refugee Assistance program and Vera House, Ryan’s life at Syracuse University has been busy and full yet richly fulfilling. Interested in learning more about Public Health and the exciting careers and opportunities available? View our public health academic programs page for more information. 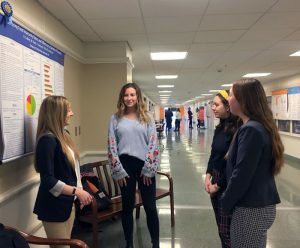 To improve access to undergraduate research experiences in the area of trauma for groups typically underrepresented in this research, including veterans, a collaborative venture between Syracuse University’s Falk College, SUNY Oswego, and SUNY Upstate Medical University is now recruiting students for its 2019 program May 20-June 27, 2019 on the Syracuse campus. The Undergraduate Trauma Research Training program is a National Science Foundation (NSF) Research Education for Undergraduates (REU) opportunity directed by Brooks B. Gump, Ph.D., M.P.H., Falk Family Endowed Professor of Public Health, and co-directed by Karen Wolford, Ph.D., Professor Department of Psychology and Coordinator of the Interdisciplinary Graduate Certificate Program in Trauma Studies at SUNY Oswego and includes other faculty from these institutions as well as SUNY Upstate Medical University. This program brings together veterans and non-veterans in a safe environment to pursue trauma research activities. This six-week immersion program involves coursework, mentored student-faculty interactions, and the development of a research project. Participating students receive a $3,000 stipend for attending the summer session. Room and board are provided free of charge, as needed. 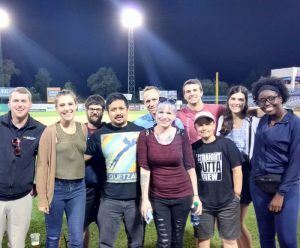 Ten student-veterans and traditional students completed the 2018 Undergraduate Trauma Research Training program, where they attended seminars on research methods and statistics, neurobiological, psychological, and physiological aspects of trauma, and research ethics as well as weekly self-care lessons and graduate school application workshops. The program, now in its eighth year, draws on personal experiences of veterans who understand the nature and context of traumatic events. 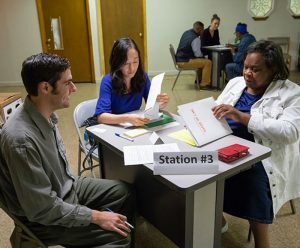 By gaining a scientific understanding of trauma, students who complete the program gain essential tools they can use to improve the quality of life for themselves and others, including veterans. Read more about one REU participant’s experience here. The program is purposefully structured to span one full year. Following the summer program, students continue their research under the mentorship of REU faculty during the Fall semester. 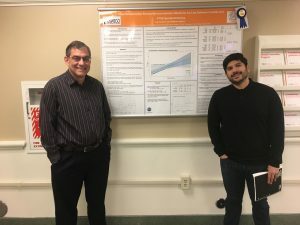 Finally, students are expected to present their research at a national conference in Spring, 2020. The travel and registration expense for the conference is provided to the student through this program. For more information about the program, and to submit application for it, visit the Syracuse University REU website or contact Ivan Castro at iecastro@syr.edu. The application deadline is March 1, 2019. 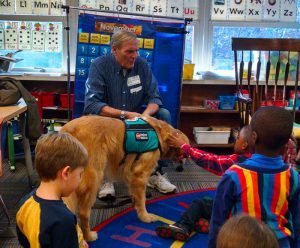 Falk College faculty in public health and social work are researchers in a new integrative health study that measures the effects of owning and training a therapy dog on posttraumatic stress disorder (PTSD) in veterans. Published in The Journal of Alternative and Complementary Medicine, “Dog Ownership and Training Reduces Post-Traumatic Stress Symptoms and Increases Self-Compassion Among Veterans: Results of a Longitudinal Control Study” is coauthored by Dessa Bergen-Cico, PhD, Yvonne Smith, PhD, Collin Gooley, and Brooks Gump, PhD at Syracuse University; Karen Wolford, PhD at SUNY Oswego, and; Kathleen Hannon, Ryan Woodruff, and Melissa Spicer, Clear Path for Veterans. Researchers reported significant reductions in PTSD symptoms, as well as reductions in perceived stress, isolation, and self-judgement, and significant increases in self-compassion when comparing the veterans that participated in the Dogs2Vets program over a 12-month period to veterans that were on the waiting list to receive a dog during that time period. Earlier this year Mary Helen McNeal, Professor of Law and Director of the Elder and Health Law Clinic, and Falk public health professor, Luvenia Cowart, and Maria T. Brown, assistant research professor in Falk College’s School of Social Work and faculty affiliate at Syracuse University’s Aging Studies Institute, identified ways to connect experiential learning for law students with an unmet need in the community. Cowart is the co-founder of the Genesis Health Project that aims to reduce health disparities and promote healthy lifestyles among African Americans in Syracuse. The African American Dementia Caregiver Support Project’s 12-Week Healthy Living Program is a Genesis Project that promotes health and wellness, including education about dementia caregiving, nutrition and physical fitness. A two-part seminar series on advance directives was a natural fit for the Genesis Project. Research estimates that only one in three Americans has an advance directive, a number that is substantially lower among communities of color, those of lower socio-economic status, and lower levels of education. 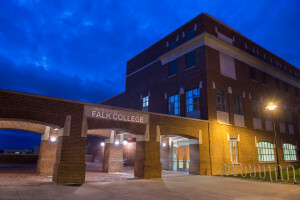 This semester, College of Law students in McNeal’s Advance Directives in the Community course and Elder and Health Law Clinic (EHLC) gained hands-on experience educating local residents about the importance of planning for end-of-life care while helping them prepare advance directives in partnership with Falk College. “Advance directives enable people to appoint a proxy to make decisions when they are no longer able to, and they lay out a person’s preferences for the care they want,” says McNeal. Providing general practice legal assistance for those aged 60 and over with low or moderate incomes, the EHLC offers students the opportunity to represent clients with faculty guidance and oversight. Bryce Hruska, Ph.D. is an assistant professor in the public health program where he has served as a research assistant professor, postdoctoral researcher, and project manager. He specializes in traumatic events, posttraumatic stress disorder (PTSD), stress and health, occupational stress, recovery experiences, and quantitative methods. Hruska’s research focuses on better understanding how psychological stress “gets under the skin” to impact physical health. Since coming to Falk College, his work has primarily consisted of overseeing the operations of two research projects: “Environmental Toxicants, Race, and Cardiovascular Disease Risk in Children” and “The Psychosocial and Physiological Consequences of Taking and Not Taking Time Off from Work.” He has most recently published in the Journal of Substance Abuse Treatment, Headache: The Journal of Head and Face Pain, as well as Environmental Research, Psychology of Addictive Behaviors, and Social Science and Medicine, among others. Bhavneet Walia, Ph.D., an assistant professor, joined Syracuse University in 2015 from Western Illinois University where she was an associate professor of decision sciences and founding director of the business analytics post-baccalaureate certificate program. Her fields of specialization include health economics and health econometrics. Walia’s present research efforts are focused in three areas: early child health interventions and cognitive development; mortality and behavioral effects of chronic traumatic encephalopathy and related neurodegenerative diseases; and markets for health care in the United States. Her research and scholarship include 14 peer-reviewed journal articles that have appeared in leading journals of applied economics, health policy, and environmental policy: the American Journal of Economics & Sociology, the Journal of Economic Education, and the Southern Economic Journal, and two in Renewable Agriculture & Food Systems, Economics Letters. Professor Katie McDonald (front right, standing), filmmaker Dan Habib (front left, standing) and Micah Fialka-Feldman (seated) prepare for filming of Intelligent Lives at Falk College in 2016. “When the film, Intelligent Lives is featured as part of the 2018 Syracuse International Film Festival’s Imaging Disability showcase October 14, the audience will see how Falk College classrooms and programs are incredible places of inclusion for students with intellectual disability,” says professor of public health and faculty fellow at the Burton Blatt Institute, Katherine McDonald. 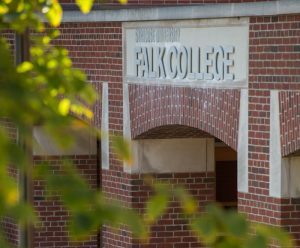 The film explores how segregation of people with intellectual disability became the norm, why this segregation is slowly being dismantled, and how some people with intellectual disability are blazing a bold new path, including Micah Fialka-Feldman ’15. During the study, an expert panel created a survey administered to over 500 people across the U.S. to learn about their views on doing research with adults with an intellectual disability. One of the panel members was Fialka-Feldman, a then-Syracuse University student and teaching assistant, who is now a staff member in the School of Education where he teaches and works on projects in the Taishoff Center as well as McDonald’s Community4All Project. Fialka-Feldman, who graduated in May 2015 with a certificate in Disability Studies, helped design the Project ETHICS survey and assisted with recruitment and sharing findings. During the project, McDonald was contacted by Emmy-nominated documentary filmmaker, Dan Habib from the Institute on Disability (UCEDD) at the University of New Hampshire. He was appointed by President Barack Obama to the President’s Committee for People with Intellectual Disabilities (PCPID) in 2014. Fialka-Feldman also served on the PCPID. Habib filmed Fialka-Feldman participating in Project ETHICS work at Syracuse University and in public health classes in Falk College in 2016. During multiple site visits to campus, Habib and his team spent time with Fialka-Feldman, his friends and colleagues to capture Micah’s vibrant academic, work and social life. The visits included filming Micah at home, working at the SU School of Education, attending his public health class taught by assistant dean of student services and public health professor, Jim Byrne, and working as part of the Expert Panel on research findings in Project ETHICS with McDonald. “Having Micah in a class of 100 students was a privilege. He participated in all aspects of the class and shared his life experience in the class and during exams. Micah’s insights about topics in the personal and social health class were thought provoking for the class and for me,” notes Byrne. “Project ETHICS is community-engaged research. The film is about expanding ideas of intelligence – community-engaged research draws from similar ideas. Rather than trained scientists controlling research, we work hand-in-hand with community members who have lived experience and draw from their expertise to create research questions, methods, dissemination, and action to follow. This way of working legitimizes the value of lived experience, and emphasizes that a broad array of stakeholders can—and should—contribute to research,” explains McDonald, principal investigator for the study. Since 2016, numerous research articles about Project ETHICS have been published, on which Fialka-Feldman is co-author. “This film is a key component to challenging dominant cultural narratives about people labeled with intellectual disability. We need films that reflect disability rights, and showcase people with disability leading meaningful lives as caring, capable citizens” says McDonald. The Intelligent Lives screening will take place on Sunday, October 14 at 3:00 p.m. in Shemin Auditorium, Shaffer Art Building. The film is captioned; ASL interpretation and CART will be provided for the introduction and discussion. Watch the trailer of the film. Throughout the month of October, the Disability Cultural Center (DCC) and a host of campus partners and student organizations will host Disability Awareness and Appreciation Month. The month’s events will focus on disability and its many intersections. For more information, visit the Syracuse University story.